You’ve probably heard people use fiber supplements to get fitter and lose weight. That’s our topic today. 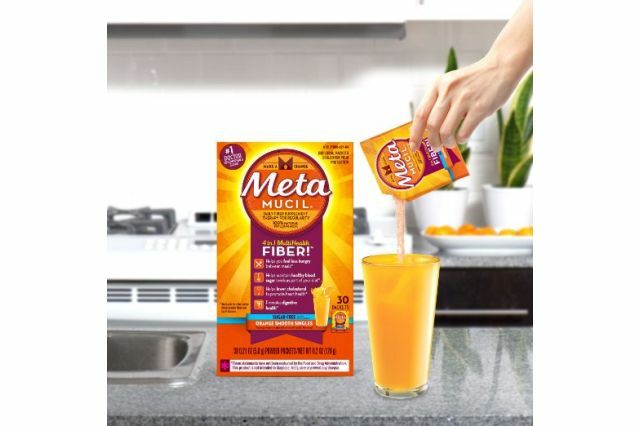 And we compare two popular brands: Benefiber vs. Metamucil. These two products are mainly used for other reasons but are now being used for weight loss and getting slim as well. Here, we take a closer look at their differences and see which one is better. 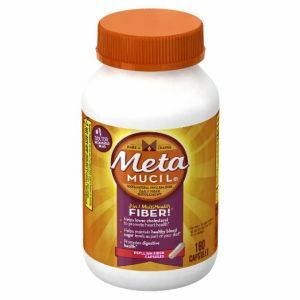 Benefiber and Metamucil are two of the leading over-the-counter (OTC) fiber supplements that are available today. Their main purpose is for alleviating and preventing constipation. They’ve also become very popular products for weight loss. This is thanks to their fiber content. Fiber helps keep you feeling full longer. And helps with weight control as well. As a result, they claim to help make you better inside and out. That is, you feel better inside due to the improved digestion and bowel movement. And look better and fitter on the outside as well. Essentially, both of these supplements contain natural soluble fiber. This makes them useful for anyone looking to lower their cholesterol levels. Additionally, they can also help relieve abdominal cramping, gas, and stomach aches and bloating. Despite being seemingly alike, there are several differences between Benefiber and Metamucil when they are compared against one another. What Ingredients Do Benefiber and Metamucil Contain? In Benefiber, the active ingredient is wheat dextrin. Wheat dextrin is a dietary fiber that is basically an extract of wheat starch. 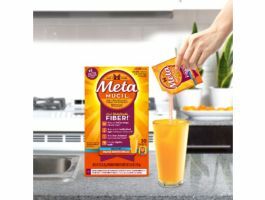 In Metamucil, the active ingredient is psyllium, which is a type of fiber prepared from psyllium seed husks. Even though both of these ingredients come from different sources, they both happen to be soluble fibers. Moreover, they are both natural fibers and are safe to be used as a laxative. These two fibers work by expanding in the digestive tract. It does this by absorbing water. The result of which is that you get bulkier and softer stools. This helps is preventing constipation where the opposite happens. Basically, the larger the stools, the more the muscles lining our intestine are triggered to contract. As a result, constipation does not occur, because stools keep on moving through the intestines. So the source of fiber may be different between the two fiber supplements. But, they essentially result in the same effect. And important note and reminder. Please make sure to check the product’s label for dosing instructions. They can sometimes change. Also, please consult with your physician before taking any supplements or medications. During a time frame of anywhere between one and two weeks, both Benefiber or Metamucil can be taken thrice each day. Do make sure that you start out with once a day. Then gradually work your way up to three times daily. Fiber has a way of sneaking up on you if you take too much too soon. It can cause gastrointestinal distress and make you feel very uncomfortable as well as gassy. Easing into fiber helps the body slowly adjust so it isn’t overwhelmed. That way you don’t experience the unwanted side effects. Also remember that when increasing the amount of fiber in your diet, make sure to increase your water intake as well. As mentioned above both Benefiber and Metamucil help in water absorption. This means you need to increase water intake to give it the fluids to work with to function properly. In What Different Forms Do Benefiber & Metamucil Come In? Do note however, that these two fiber supplements come in varying forms. 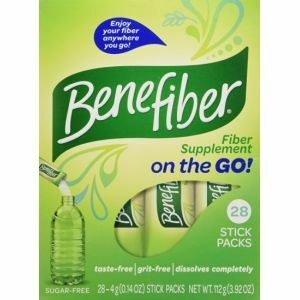 Benefiber comes only in the form of a powder. Two teaspoons of that powder can be mixed into 4 to 8 ounces of coffee, juice or water. But it should never be mixed with carbonated beverages. The powder should be stirred thorough into the beverage for at least a minute before being consumed. Metamucil meanwhile comes in the form of capsules, powder and wafers. It is recommended to mix a single rounded teaspoon of the powder into at least 8 ounces of cool coffee, juice or water. Of course, the powder should be stirred thorough into the beverage for at least a minute before being consumed. Anyone wanting to take the capsules should take anywhere between 2 and 5 per serving. As for the wafers, two can be consumed with at least 8 ounces of a cool or hot beverage. What Other Benefits Do Benefiber & Metamucil Offer? Additionally, taking Benefiber and Metamucil can prove to be beneficial in several other ways too. In general, soluble fibers like wheat dextrin and psyllium are known for their cholesterol-lowering properties. However, based on studies, psyllium is more effective in this regard. In fact, psyllium is apparently as healthy as oats, which means that taking Metamucil as a part of a low-fat diet may lower a person’s risk of heart disease. Furthermore, the good bacteria in the large intestine ferment these soluble fibers. The result of which short chain fatty acids are produced. When this happens, the body is then able to absorb these fatty acids and use them for energy. 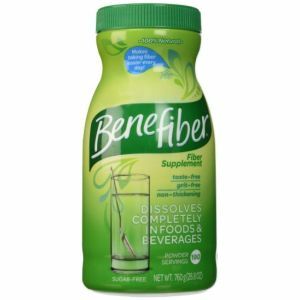 Despite the seemingly minor and slight differences, both Benefiber and Metamucil are equally effective fiber supplements and laxatives. But if you intent to take such a supplement for the extra benefit of lowering their cholesterol, then Metamucil would probably be a better choice. Fitness, Food & Nutrition, General Health, Health Issues, Weight Loss. permalink.